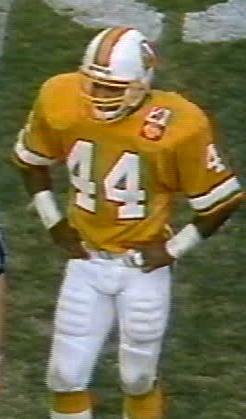 Of all the jersey numbers we feature in this series, 44 is going to be the hardest to award a "best-ever" tag to. I mean, how many of these players have you ever heard of? 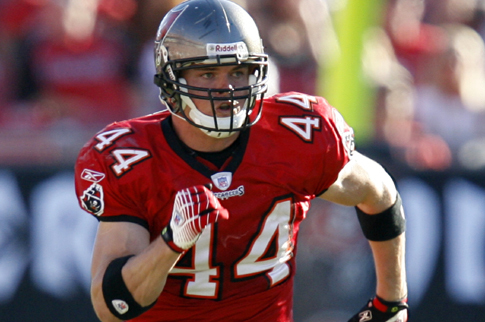 But the first to wear 44 for the Bucs, Manfred Moore, originally had the honour simply for the fact that he has in the past e-mailed me from California where he is now a successful businessman, to compliment BUCPOWER.COM and for featuring him some 30 years after he appeared for the Buccaneers. After a series of special teamers, Ivory Sully started at safety during the Leeman Bennett years (though that is nothing to honestly be proud of). Carl Carter was a nickel back at best as was Darren Anderson. 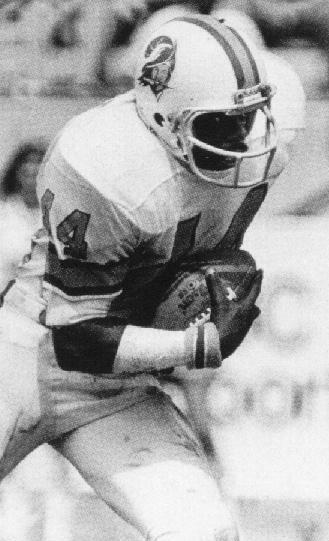 Billy Baber was a final game signing in 2004 and had but one reception in his Buc career, although Rick Razzano probably holds the record for most transactions during a career for the sake of one actual game in Buc colours. 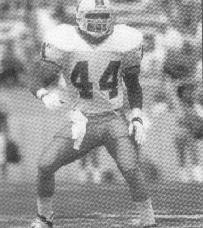 Byron Storer was a special teams' player whose career was cut short by injury and went on to become an assistant coach with the Buccaneers. 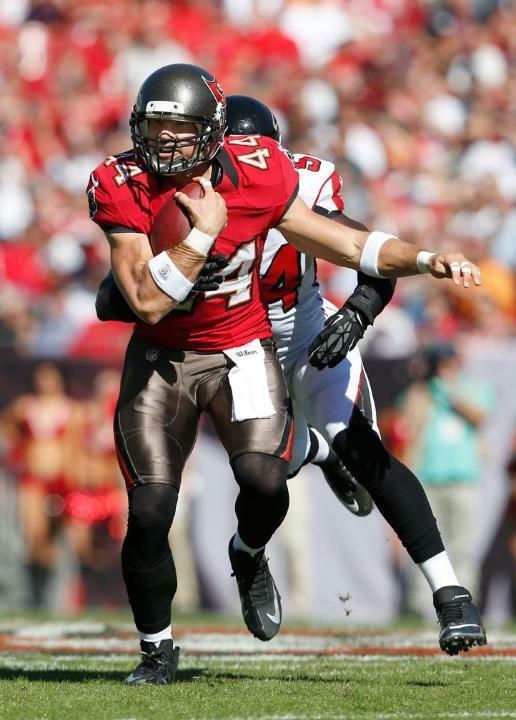 Erik Lorig began his rookie season as a defensive end wearing 97 but converted to a full back and hence took this number during the 2010 season. 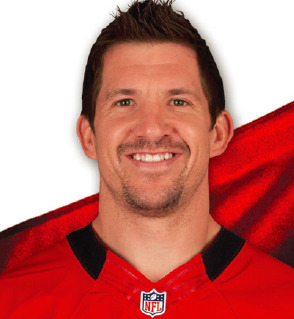 And then along came former Colts veteran TE Dallas Clark in 2012 who posted enough numbers at the tail-end of his NFL career to steal the best 44 jersey from Manfred.